The Y stands for Youth Development, Healthy Living, and Social Responsibility. 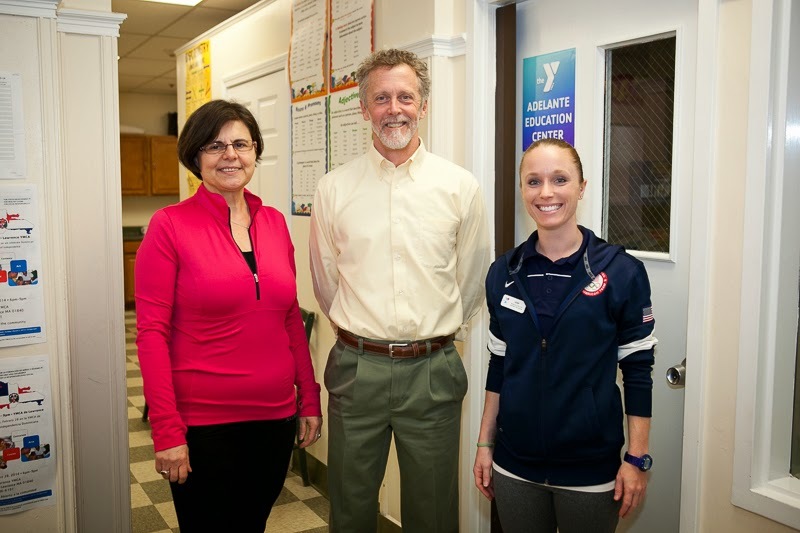 Earlier blog posts have addressed how ANA Synchro embraces the Youth Development and Social Responsibility pillars of that famous Y philosophy, and in this final post of the three-part series, we turn our attention to the Healthy Living component. We’re not going to try to cover it all, though! Healthy Living is much too broad of a topic for a single blog post. Specifically, we want to talk about Injury Prevention. Pinette met Cannon, also a Y Board Member, last November when they were coincidentally stationed together to greet runners who were coming to the Y to pick up their bib numbers and t-shirts for Andover’s annual Feaster Five Road Race. It didn’t take long for the pair to discover they shared a mutual professional interest in injury prevention. ANA Synchro: What are your initial impressions of synchronized swimming, in general, as a sport? Andrew Cannon: There are very few things that the athletes need to do for synchro that aren't also part of a healthy lifestyle. One of the benefits of synchronized swimming with somebody like Leah in charge is that she's aware that there needs to be a balance for them to have success. There's got to be flexibility; there's got to be strength; and there’s got to be cardiovascular endurance – both aerobic and anaerobic. So, really, these girls are simply asked to be well-rounded athletes. Are there parts of the sport that are more risky? Yes – the excessive flexibility to adopt some of the positions is one example. But those things just need to be monitored, and the negative trends need to be identified as soon as they start. ANA Synchro: What do you say to the athlete or parent who thinks they just need to throw more hours at the sport to improve? Andrew Cannon: I think it should be smart hours. No matter what the sport or activity is, you will get better if you do more of it. However, if that's all you do, your tolerance to stress is actually lessened. Part of being able to do more of your sport or activity is staying injury free, or injury diminished. You don’t achieve that by just doing your activity and nothing else. You achieve it by augmenting it with flexibility training, balance training, strength training, maybe running or some other impact activity – all things that ultimately allow you to tolerate the repetition of your sports-specific training. And in terms of just hours spent on the sport, I think athletes and parents need to broaden their thinking as to what those hours are. ANA Synchro: What do you mean, “broaden our thinking”? Andrew Cannon: It's always challenging to make the point to high school kids—male or female—that part of their training hours is that they need to train eight hours of their day by sleeping. Because sleep is critical. I don't expect that that's necessarily going to change all that much, but we just try to get them to understand that sleep is not the thing that gets in the way of doing other activities, it's actually important. And, if we’re talking about more hours of training, I’d like to encourage people to consider that 90 additional minutes a day of training can be geared into three 30-minute blocks called breakfast, lunch, and dinner. That's an hour and a half of training that's geared toward putting fuel in the furnace. ANA Synchro: I’m sure many of our readers haven’t really thought of it that way before! Andrew Cannon: It's that consistency of training, including food and sleep, that will make them successful. And the consistency of training isn't a season. It isn't a year. It’s multiple years. One of the things that makes it so hard in dealing with the high school and collegiate population is that their systems are so tolerant to error that they perceive something is not really an error. For example, they may not get a lot of sleep and still be okay; then they’ll perceive that sleep is not really important. Or, they might not eat great but still feel like they have energy; then they’ll think fuel is not that important. Or, they may not stretch or strengthen and not get injured; therefore they would feel stretching and strengthening is not important. So every once in a while with this age group, they can pop out a strong performance under-rested and under-fueled. But that's not going to make them successful in the long term. I think what needs to happen, at some point, is to get them to experience how they feel rested and well-fueled versus not rested and not well-fueled. Helping the team understand proper technique. 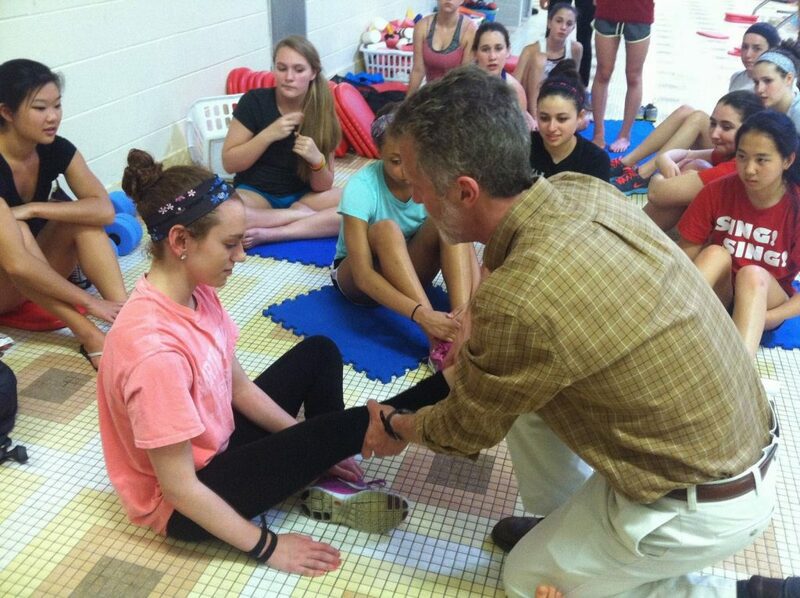 ANA Synchro: Is there one key thing athletes and their families should know about injury prevention? Andrew Cannon: Early detection is key. Things are easy to deal with early, and harder to deal with later. The challenge is to separate out accurate reports that are concerning and other reports that are maybe just ordinary aches and pains. 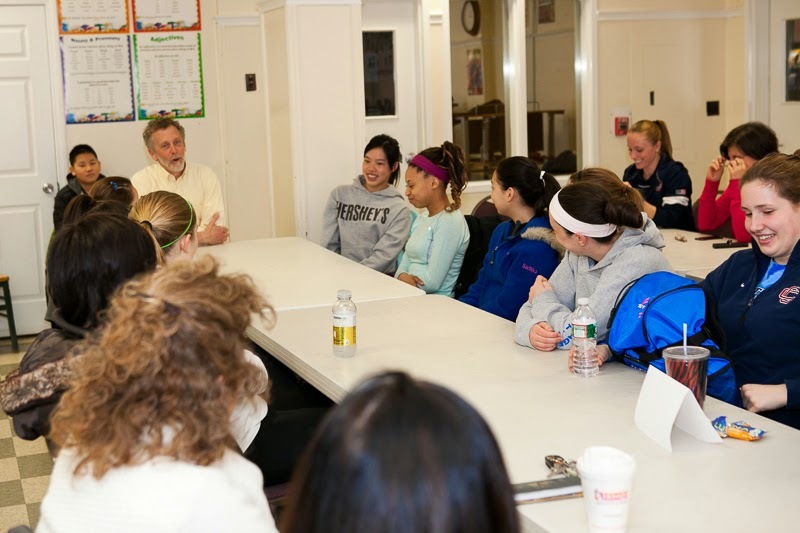 There are a lot of discomforts that you work through in sports, and part of the education process, as time goes on, is to help athletes and their parents understand what those things are that you can work through and what those things are that you can’t. Andrew Cannon: My own daughters are adults now, and one of the things I’m most proud of is that, as former high school and collegiate athletes, even though they don’t have the formal structure of belonging to an institutional athletic team right now, they still are actively seeking out playing the sport that they have been involved with since middle school. They still have that passion for the sport and they understand that a healthy life is being physically active and physical activity is the cornerstone to overall health and happiness. I see too many kids in high school and college that, due to the intensity of participation and pressure to succeed, they have that passion wrung right out of them and they do not see the value of physical activity. You don’t have to be super competitive or a super athlete to be active regardless of your age. Head Coach Leah Pinette: And I would like to add that there is much more to come for ANA Synchro in the area of injury prevention! I have enjoyed meeting and talking with Andy over the course of this year, and I look forward to more discussions of how we can continue to improve our team. We have many ideas, from getting all the athletes baseline tested for concussion to getting more nutrition information out to the athletes and their families. Stay tuned! Andrew Cannon can be reached at Northeast Rehab, 978-521-1186. Leah Pinette can be reached at the Andover/North Andover YMCA, 978-685-3541. ← Annual ANA Synchro Show – A Lot of Work, but a Lot of Reward!